Ball's Pyramid is an erosional remnant of a shield volcano and caldera. 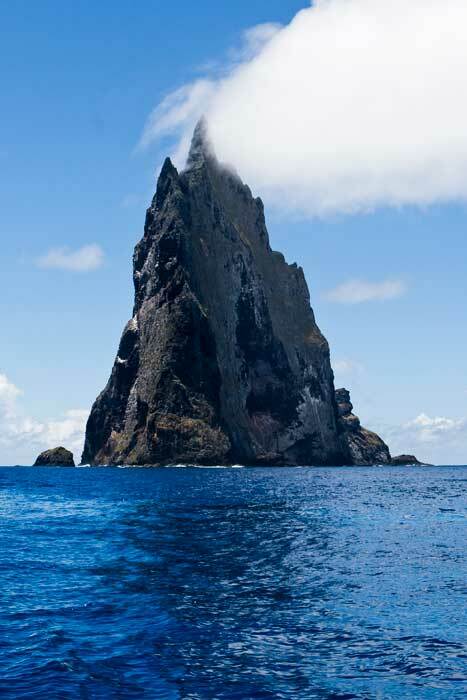 Balls Pyramid is 20 km (13 miles) southeast of Lord Howe Island in the Pacific Ocean. It is 562 m (1844 ft) high, while measuring only 1100 m (3600 ft) in length and 300 m (1000 ft) across, making it the tallest volcanic stack in the world.It is part of the Lord Howe Island Marine Park.